Knockdown Center is a Clocktower curatorial partner, co-producing and co-presenting visual arts, performance, and music projects. To listen to Knockdown Center Radio, an archive of programs produced in collaboration with Knockdown Center, click here. Built in 1903, Knockdown Center is a 50,000 sq. ft restored glass factory uniquely situated on a gated three-acre lot. A labyrinthine arrangement of brick, steel and heavy timber with ceiling heights reaching over 40 ft and adjoining rooms ranging from intimate to epic scales. 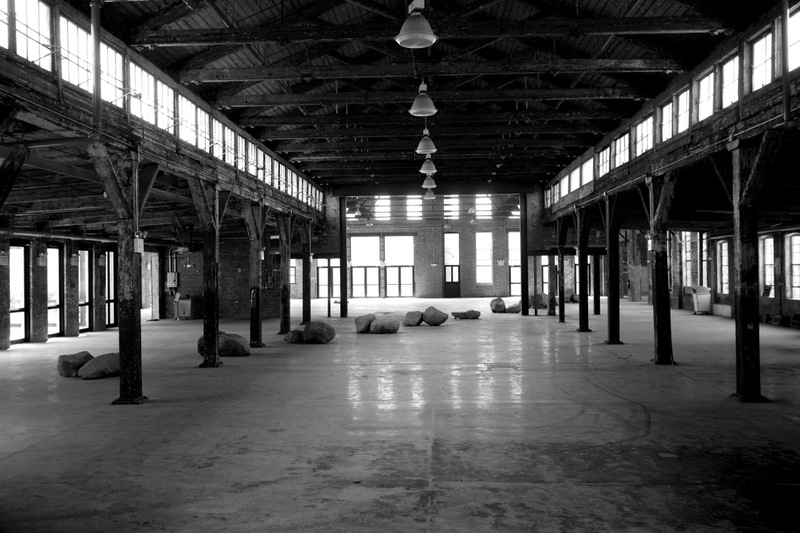 Knockdown Center takes its name from the Knock-Down Door Buck, or K-D door frame, invented on-site by Samuel Sklar, and filed with the US Patent Office on July 30, 1956. A seemingly simple modification to the then accepted one piece steel door frame, Sklar's three-piece frame could be shipped in pieces --or "knocked down" -- and easily slipped over an existing wall. Single-handedly revolutionizing the building industry by allowing the builder to construct walls without having to wait for door frames to be installed, Sklar's invention drove manufacturing at Knockdown for three generations. It is in this spirit that Knockdown Center strives to create an adaptable environment that thinks beyond what "is". Open Saturday and Sunday, 12pm - 6pm, or by appointment.